Can a Woman Suffer from Something Called the Chest Arthritis? Can You Have Arthritis In Your Rib Cage? Arthritis is a very common condition in the United States, and you’re not alone if you’re suffering from arthritis. According to the statistics, around 22.7% of the people in the United States are diagnosed with some form of arthritis, and the number is expected to further increase in the future. This is definitely a very serious concern. Some of the common forms of arthritis are gout, lupus, rheumatoid arthritis, and others. In a case of rheumatoid arthritis and osteoarthritis, it’s common to see people having pain in knees, hips, hands, and so on. However, there are people who also have pain in their chest, and it’s a very rare condition. There are men who suffer from the chest arthritis, but this type of pain is most commonly seen among women. This is a very serious issue, and this condition may even have life-threatening consequences. A chest pain may be a result of a heart disease, arthritis, or it may be due to costochondritis. Costosternal joints are the ones, which connects your ribs to your breastbone. Costochondritis is a result of the inflammation of the cartilage in these joints. And one of the major causes of inflammation is rheumatoid arthritis. It may also be due to some kind of injuries or physical strains. The RA inflammation does have similar symptoms as a heart attack with RA inflammation causing a sharp chest pain, but there are two major differences that can help us in distinguishing between a heart attack and RA inflammation. The pain caused by the heart attack can be felt in the various parts of the body, such as jaw, shoulders, arms, and others; whereas, the pain caused by the costochondritis is only felt in the small part, which could be around your heart or up in your jaw or on your shoulder. You will experience a deep pain when you take a long breath in the case of costochondritis, whereas in the case of heart attack, you won’t experience a pain while taking a deep breath. 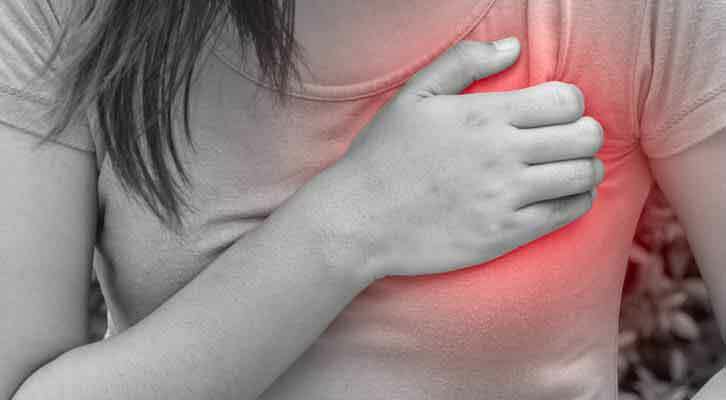 The chest pain caused by the costochondritis will most likely disappear within a few weeks or a few months. If the inflammation is seen in your breastbone, then it’s chest arthritis. The electrocardiogram could be given to see the probability of a heart attack. Your doctor may also perform chest X-ray or the blood test to diagnose the problem. In case you’re diagnosed with costochondritis, you don’t have to worry much about your pain. It will not last long. Women who are suffering from the chest arthritis can have difficulty in laughing, coughing, sneezing, and during other normal activities. The pressure felt by the women suffering from the chest arthritis will feel the pressure as if a person is giving them a very tight hug. Moreover, the person also cannot lie down on their side because it brings lungs closer to their chest, which further increases the pain. How to Treat Your Chest Arthritis? According to the statistics, the costs attributed to arthritis were $128 in 2003. However, this statistic is not to make you panic. Your chest arthritis can be addressed with various therapies to help you overcome your condition. Here are some of the ways to treat your chest arthritis. 1. Homeopathic Pain Relievers: Americans are spending more and more dollars on the alternative treatment methods, according to the study. However, you should be careful not to trust all the alternative treatment methods because another study proves that most of the alternative treatment methods are not effective. In the case of the homeopathic pain relievers, there are some pain relievers that are approved by the Food and Drug Administration (FDA). 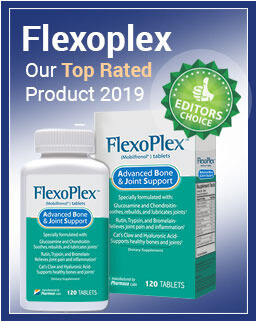 These pain relievers contain ingredients like Glucosamine and MSM, which can help in fighting your arthritis. These pain relievers can mitigate the pain, decrease your inflammation, and restore your bone thickness and density. However, these pain relievers are only suggested for the people with a little pain. 2. Minocycline: This method of treatment is suggested if the patient is suffering from a really severe arthritis. 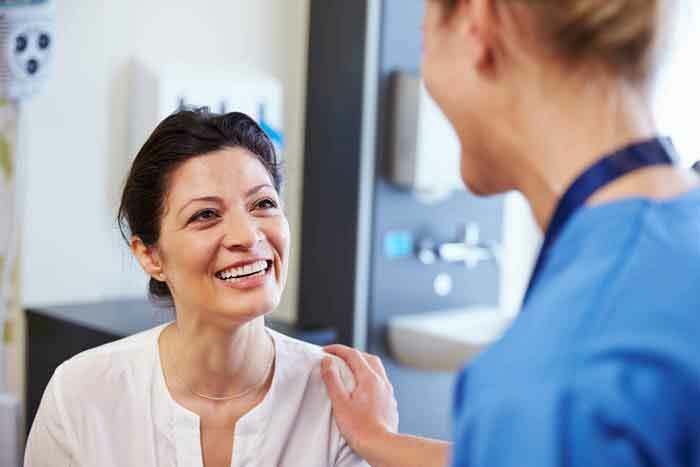 The condition of the patient may be so serious that the patient might be having a difficulty in breathing smoothly due to the chronic pain, leading to life-threatening consequences. This method of treating the chest arthritis is considered as the best treatment method for the chest arthritis. Some doctors may even suggest the patients use this medication for a long period of time. However, there are some negative side effects of using the medication for a long period of time. Consult your doctor if you experience difficulty because of the use of this medication. 3. Extra Strength Tylenol: It is one of the common nonsteroidal anti-inflammatory drugs prescribed by the doctor as a remedy for the inflammation. This drug works very well with chest arthritis. There was another nonsteroidal drug named Cerebex, which was commonly prescribed by the doctor in the past. However, this drug was removed because of various negative side effects were seen among the patients after the consumption of this drug. 4. Cortisone Injection: It’s a steroid injection that is used to reduce the inflammation. This steroid injection can greatly benefit the people who are struggling with pain and discomfort. The injection is given into the inflamed cartilage. Arthritis of any kind should be dealt carefully. Many people are still there who confuse chest arthritis in women with a heart disease. However, you won’t be confused anymore because you are already done reading this informative article. Knowing about various health issues can help you in treating your condition effectively. If you find someone besides you who is suffering from a similar condition, then you should share this valuable information with them to make them aware of this condition. It will help them in taking a right step to overcoming their condition.